UT alumna Sandra Castillo plays with KJ, who is up for adoption at the Austin Animal Center. Pet adoptions at the center are free of charge until Saturday, thanks to funds provided by Animal Planet and The American Society for the Prevention of Cruelty of Animals. R.O.A.R. To Their Rescue is a combined effort by Animal Planet and The American Society for the Prevention of Cruelty to Animals to help shelters around the country by encouraging people to adopt with no adoption fees. Kasey Spain, Austin Animal Center spokeswoman, said the money came unexpectedly. As of Sept. 5, the shelters still had $15,000 available to spend on adoption waivers. Spain said there has not been a significant increase in the numbers of adoption with the program. Biology senior Evelyn Chou volunteers at AAC as a customer service representative and also socializes dogs with people. She has been working with animals since her freshman year and said she likes seeing the difference she makes in an animal’s life. Kinesiology junior Lilian Rodriguez adopted her Australian Shepherd-rottweiler mix from AAC last week. She said she had no idea Animal Planet was doing a promotion before she decided on a puppy. Rodriguez said she had been toying with the idea of getting a dog for years. When she got to AAC, she fell in love with one dog. The waived adoption fee came as a nice surprise to Rodriguez. Rodriguez said she took her job on a PetSmart shopping spree with the money she saved. I’m spending my summer studying abroad in Barcelona, Spain, and what’s great about being in the city is the opportunity to travel easily throughout the rest of the country! For a little weekend excursion, my friends and I took a train to Seville, which is located on the southern coast of Spain. My favorite part about this city from the beginning was the small-city feel; Barcelona is huge and provides more of a modern, busy environment while Seville was more traditional and a lot more relaxing. We stayed on the edge of the city and were a little concerned about getting to things, but as it turns out we were able to walk everywhere. My second favorite thing was the food. The food there was amazing, and we definitely treated ourselves. “Tapas,” small starter-like dishes, are very popular here so most of our meals were split and shared. One of my favorite places was called Coloniales; I highly recommend stopping in! Also the gelato, had to get gelato. We hit most of the tourist spots, and a map with the big monuments marked really helped plan the weekend once we arrived. The Cathedral of Seville is worth waiting in line for. It is huge, beautiful and has an amazing view of the entire city from the tower. Another must-see is the historic bull ring, Plaza de Toros, where you can take a short tour and see the arena where live bull fights are still fought today! The entire building is burgundy, yellow and white so the colors combined with the sky made for unreal pictures. The entire city is beautiful, and there are blue and white tiles everywhere! 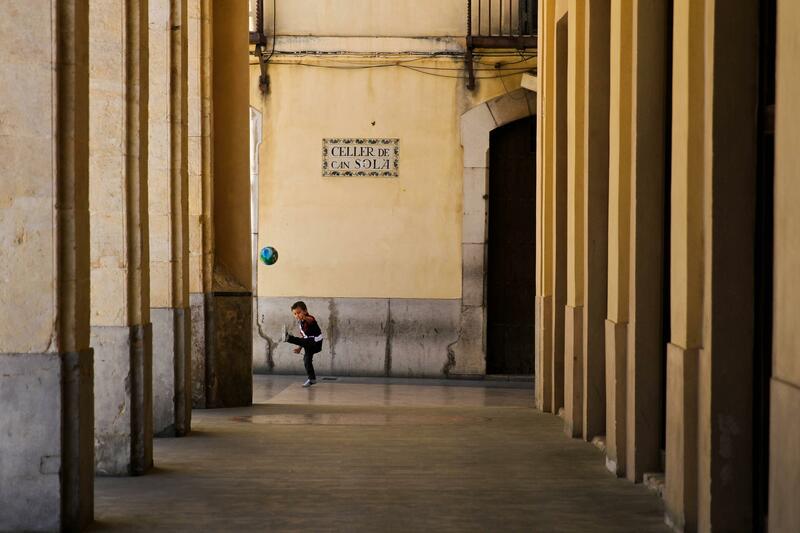 Overall, Seville really blew all of my expectations out of the water, and I was sad to leave. I think it was important to see how the local people live in a smaller city and to experience the culture and history of Seville. I really enjoyed seeing a different side of Spain, too. I’m glad I studied abroad because I am able to have weekends like this, but I have also learned a lifetime’s worth in just five short weeks; studying abroad was one of the best decisions I have ever made! Griffin is a public relations junior from Fort Worth. According to recent research, out-of-state students such as business freshman McKay Proctor are more likely to participate in study abroad programs. While students may choose to study abroad in search of career opportunities and adventure, where students are from could have a bigger influence on the decision, according to recent research from Duke University. According to the most recent data from the Office of Information Management and Analysis, out-of-state students made up 10.7 percent of the total number of students enrolled at UT in 2010. 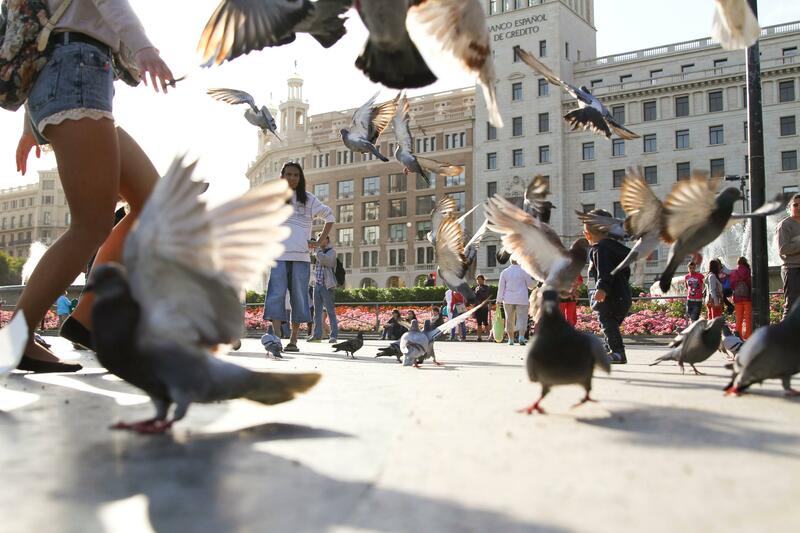 Lindsay Jones, an administrative associate at the International Office, said this spring, out of a total of 86 students going to Spain — the office’s most popular destination — 21 percent were non-Texas residents. Psychology professor Christopher Beevers said he thinks out-of-state students are more likely to come from affluent families who can afford the higher tuition rate. According to Beevers, parents who have not traveled, whether by choice or financial limitations, are less likely to emphasize travel experience during their children’s upbringing. “Parents with greater education and travel experience likely instill those values in their children, either vicariously when parents travel themselves or by encouraging their children to travel abroad, because the parents believe that travel is important and a valuable life experience,” Beevers said. McKay Proctor, a business freshman and native of Nashville, Tenn., said he will be spending his summer in Buenos Aires, Argentina, studying management through a McCombs School of Business international program. According to Proctor, Texas is a “different animal” than anywhere he has ever been, and that is part of what drew him to UT. Proctor said he thinks his ability to adapt to such a distinct environment will help him find success in his travels this summer. The first two days of the Phillips 66 National Championships and World Trials in Indianapolis have been fruitful for both current and former Longhorns alike. The ultimate goal of the World Trials is to qualify for the 2013 FINA World Championships, which are to be held in Barcelona, Spain from July 19 to August 4. Former Longhorns Jimmy Feigen (2009-12) and Michael McBroom (2011-13) both earned a trip to Barcelona with a pair of runner-up finishes on the first day. Ricky Berens also has eyes turned towards the Worlds. He’s turned in two top-five finishes in as many days. Feigen, a San Antonio native, finished second in the 100 meter freestyle to the gold medalist in the event at the London Olympics, Nathan Adrian. The field features seven Olympians. Feigen finished in 48.24 seconds, pushing him to eighth in the world, beating his lifetime best of 48.46 from the tech-suited 2009 US National Championships. He had the fasted closing 50, a 25.12 time to push past Anthony Ervin for second place. Feigen became an Olympian in 2012, winning the silver medal as part of the 4x100 meter freestyle relay. He participated in the 2012 FINA Short Course World Championships last fall in Istanbul, Turkey and also won NCAA titles in the 50 and 100 yard freestyle categories in his final year at Texas. “Winning a gold medal [at the Olympics] is the pinnacle of swimming achievement, but right behind that is winning a gold medal at the World Championships,” Feigen said about preparing for Barcelona. McBroom clinched his trip to Worlds with a second place finish in the 1500 meter freestyle, posting a time of 14:59.12, with London Olympian Connor Jaeger taking first. It was McBroom’s first time to finish under the 15-minute mark and he now ranks seventh in the world this year. McBroom competed with Feigen at the 2012 Short Course Worlds in Istanbul, where he placed 10th in the 1500 meter freestyle. He added more accolades to his resume in March at the 2013 NCAA Championships with two second place finishes in the 500 and 1650 yard freestyle events. Two-time Olympian and former Longhorn Berens finished fifth in the 100 meter freestyle on the first day, behind Feigen with a time of 48.68. His second fifth place finish came on the second day, in the 200-meter freestyle. Former Longhorn Michael Klueh took seventh in that same final. Though Berens’ eligibility to compete at the World Championships next month remains unconfirmed, the two finishes he’s posted may still earn him a spot on Team USA’s freestyle relay roster; finishing fifth in both the 200-meter and 100-meter events improves his chances. Junior Clay Youngquist won the 200-meter freestyle consolation final and former Longhorns Austin Surhoff and Dax Hill finished fourth and sixth respectively. Texas signee and Maryland native Jack Conger also had a top-five finish in the 200-meter backstroke championship final with a time of 1:56.82. The national high school record holder in the 500-yard backstroke, Conger was a finalist in the 100-meter and 200-meter events at the 2012 Olympic trials. 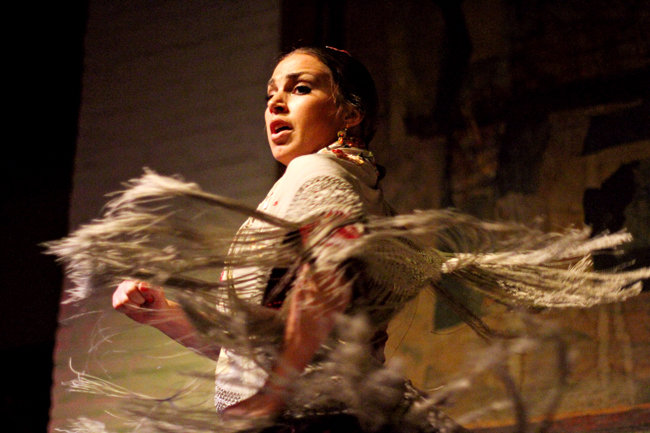 Flamenco dancers perform at El Tablao de Carmen in Barcelona, Spain. 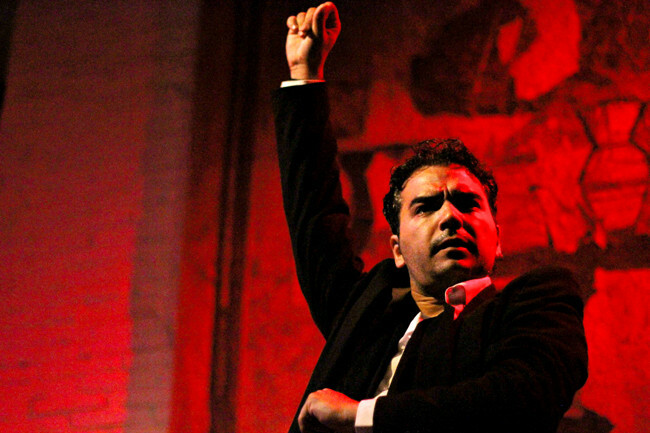 Flamenco is a type of folk music and dance that originated in southern Spain in the late 18th century and is still popular today. After a mishap at the 2011 NCAA Championships dislocated her right elbow, diver Maren Taylor opted to redshirt what would have been her third year, the 2011-12 season, to heal. Now, she has recovered, is back on the board and headed to Spain to compete in the FINA World Championships. Taylor earned a spot in the individual three-meter diving event at the Championships beginning July 19 in Barcelona, Spain. She will be the only American woman to compete in the event and is the first Texas diver to represent the U.S. in international competition since Laura Wilkinson in 2008. Texas diving coach Matt Scoggin will join her as an assistant coach on the team. To qualify, divers competed in the 2013 USA Diving World Trials and had to earn a minimum of 903 points with a combined degree of difficulty of 14.8 in the finals. Taylor finished with a 905.50 points and a 14.8 difficulty level on her five dives. Scoggin said the meet was successful and proved what Taylor could do especially after her disappointing NCAA trip. “What Maren did today was exactly what we thought she’d be able to do in the three-meter event at the NCAA Championships,” Scoggin said. “Her three-meter finish at NCAAs was disappointing, but she was able to shake it off. That’s a big key to her success. She moved on, prepared for this meet and knew she could do this today." During the season, Taylor brought her Big 12 title total to three and was selected as the Big 12 Diver of the Year. She earned All-America honors in the one-meter and platform events this year at the 2013 NCAA Championships, giving her All-American awards for each year she has competed. 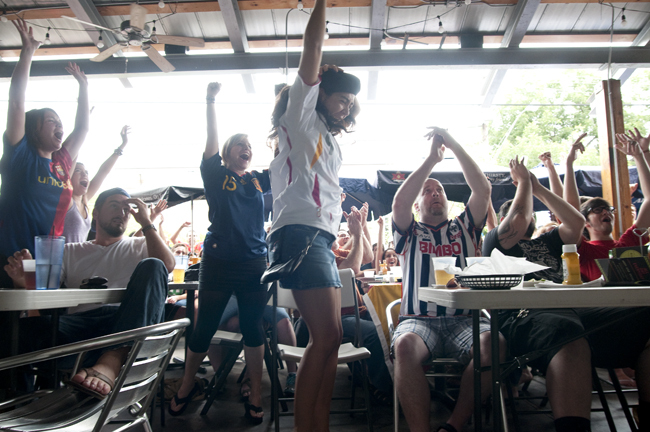 Erika Velez reacts to a Spanish goal at Cuatro’s during Euro Cup Final between Spain and Italy on Sunday. Spain won 4-0, becoming the first European team to win three consecutive international tournaments. Commonly referred to as “La Furia Roja” (The Red Fury), the Spanish national football team lived up to their nickname quite well in Saturday’s international friendly against the U.S. The defending World Cup champions showed their collective strength, as they cruised to a 4-0 victory over a short-handed U.S. side. From the start of the match, it was obvious the U.S. would have a tough time keeping up with the speed and ingenuity of Spain. Within the first ten minutes, Spain had already laid an assault on the goal, and U.S. goalkeeper Tim Howard was visibly frustrated with his team’s lack of defense. It wasn’t long before his frustration turned to outright anger. Howard could be seen yelling at his teammates for letting Spain get shots on goal with relative ease. As is normal for a Spanish soccer squad, it controlled the midfield with short, precise passes that allowed for larger areas to open up for them. Spain capitalized on nearly every goal-scoring opportunity that presented itself, and at the conclusion of the first half it held a 3-0 advantage over the U.S. Without some background on the circumstances that were in play Saturday, the final score could come as a shock to some. Spain has been a very good team for some time now, but it is not invincible. In fact, it was this U.S team that ended Spain’s 35-game unbeaten streak with a 2-0 victory in the 2009 Confederations Cup. However, due to the CONCACAF Gold Cup, many key players from that U.S. side like Michael Bradley, Clint Dempsey, Landon Donovan, and Carlos Bocanegra were on the bench for the start of Saturday’s match. Dempsey and Bradley came on in the second half of the match, and were able to shore up the defense and only allow one additional goal. The Gold Cup begins Sunday. It is a tournament composed of 16 teams from North and South America, as well as the Caribbean, that determines the champion of the region. Canada, Panama, and Guadeloupe are paired with the U.S. for the group stage. The U.S. will take on a solid Canadian squad Tuesday, and with the extra rest for some of the best U.S. players, it should be an easy victory for the U.S.